Description We designed this Multifunctional Dry Bag for you to reply on while in outdoors. It is important to keep your valuables dry and safe from sand, dust, mud and snow to ensure you enjoy outdoors without worry. It is an outdoor necessity you should keep! Key Feature * Waterproof guarantee dry bag to keep your stuffs dry and clean. 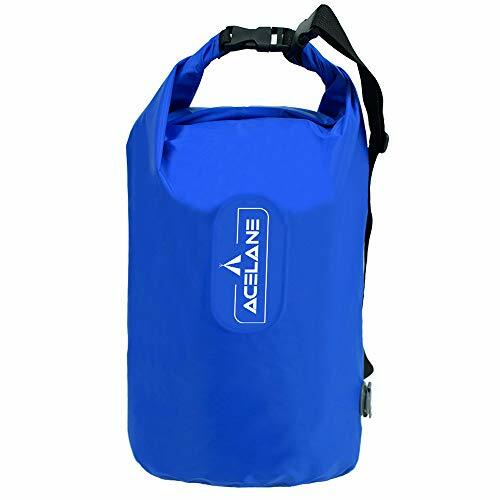 * Unique inflation pump function to inflate Acelane sleeping pad. * Multifunctional pillow when inflated, comfortable and ergonomic design. * Big enough to carry things you need for a short trip. * Adjustable and detachable should strap for different carrying. * Lightweight and compact for easy operation. NOTICE: Inflation pump function only can inflate the Acelane sleeping pad which has the same valve as the dry bag, can not inflate other sleeping pad with different types of valves, please read it carefully before you order it.